HomePollNew Poll: What is Zootopia called in your part of the world? New Poll: What is Zootopia called in your part of the world? April 9, 2016 Andy Lagopus Poll, Uncategorized Comments Off on New Poll: What is Zootopia called in your part of the world? So, Zootopia has been killing it in the international market, making over $500 million USD and climbing several countries’ “Highest Grossing Films of All Time” lists (#5 in Russia and #7 in China, to name a few). But one of the weird quirks about it’s international releases was the name. I understand some movies’ titles getting lost in translation, but even among countries that primarily speak the same language, the name was sometimes changed. So, I’m curious to know: What was Zootopia called in your part of the world? 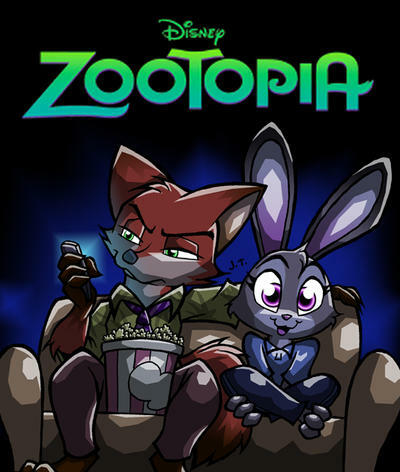 Did you try going to see Zootopia only to find it was called “Zootropolis”? Or “Zoomania”? Or, if you’re in China, “Crazy Animal City”? Vote in the box on the right, and I’ll see you next week when we have the results! Apologies if your vote got lost- I forgot to place an “Other” option in the poll, and blogger made me delete the previous one if I was going to replace it. If you’ve already voted, just be sure and double-check to see if it got saved. Poll Results: How many times have you been to see Zootopia?